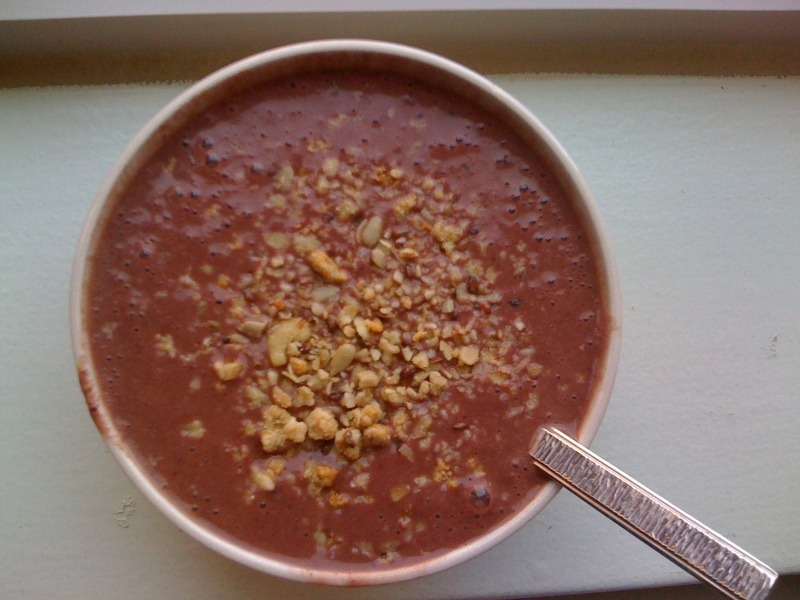 It was chocolately, fruity, and delicious! I topped it off with some Cville Cluster Granola. So the cocoa powder was something I got from Swanson Foods for free and I said I would review it. You can write to them and ask to review some products for free! Are you interested in getting some free Swanson Health Products goodies to review on your own blog? 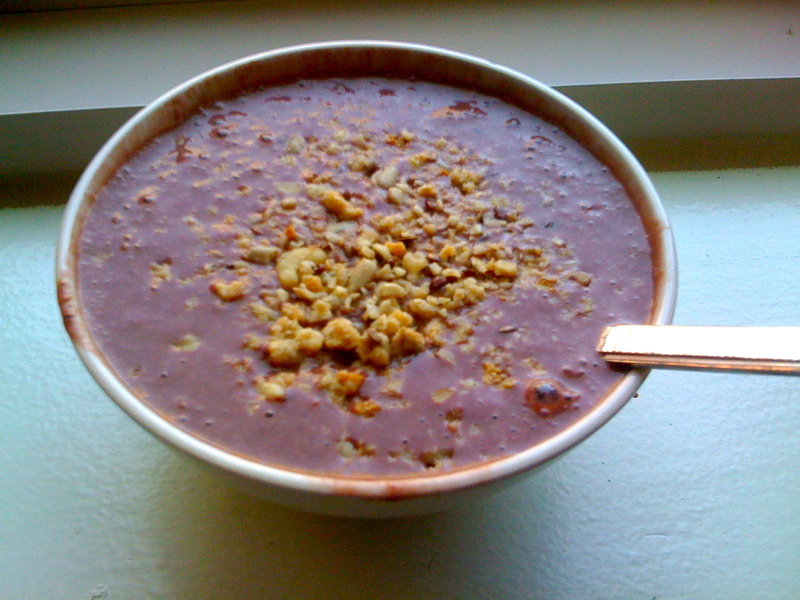 Then check out the Swanson Health Blog for all the details. 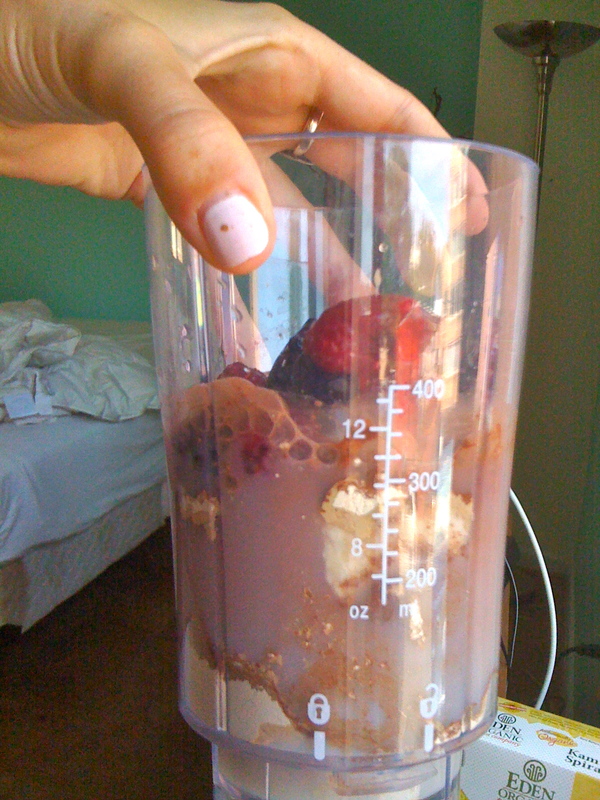 I liked the cocoa powder a lot 1) it’s organic! 2) I like that it’s only 55 cal per serving (1/4 c) and has 5 g protein and other good stuff like fiber, iron, and polyphenols. It added a nice chocolately flavor to my smoothie. 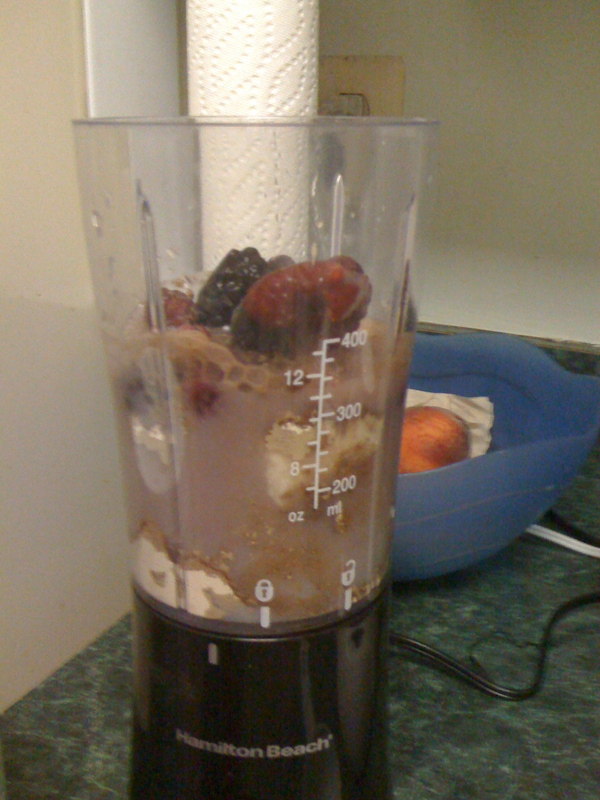 I don’t think I would use the full 1/4 c serving – seems like about half of that made it chocolatey enough, and with the combo of berries, it was really good. I’m not sure what else I’ll use this for, perhaps in baking. 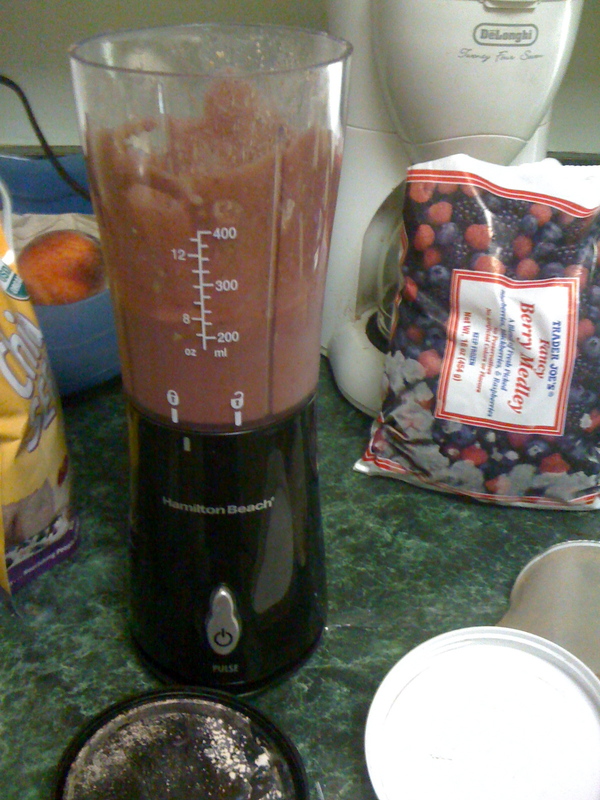 But it’s great in smoothies, and probably in oatmeal too, I’ll have to try that out! 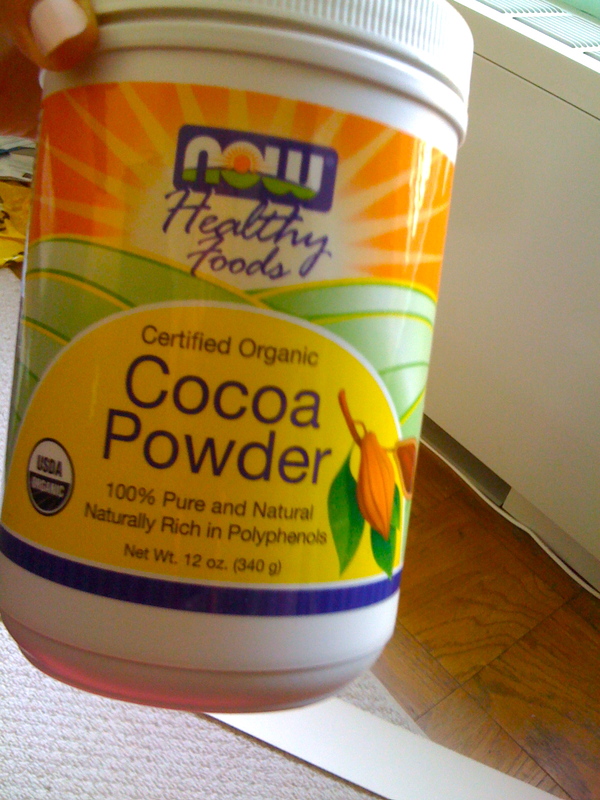 All in all, this cocoa powder is great! And it was nice that it was FREE too! Thanks, Swanson! Having some coffee right now too. Onwards with Saturday and a big to-do list. 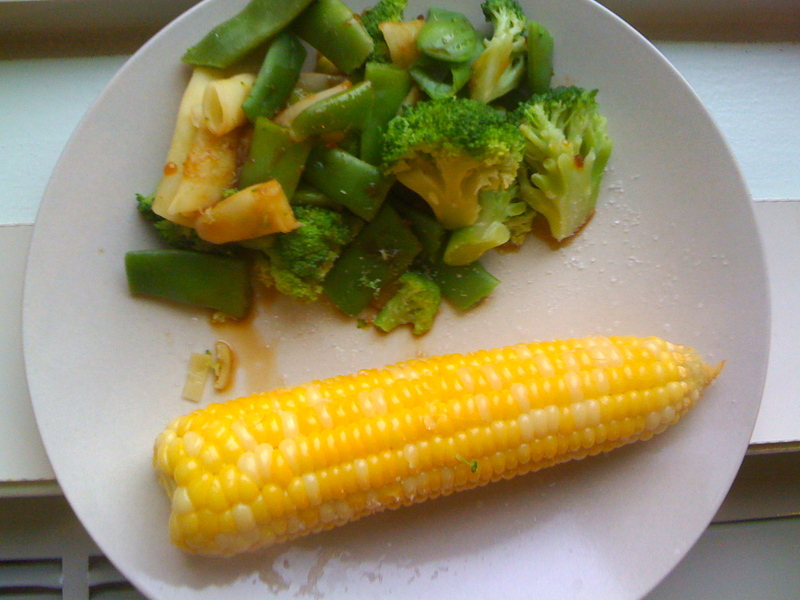 Probably won’t get to everything today, especially with the cookout I’m going to this afternoon, but I will try! C ya, HAPPY SATURDAY! !